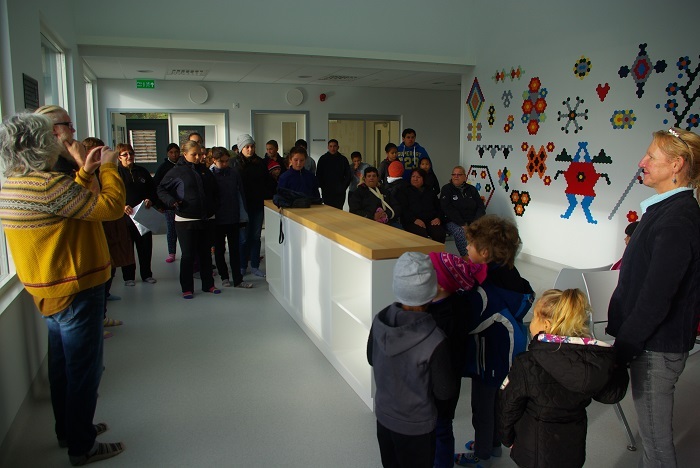 It was a beautiful sunny day on the 2nd June 2017 as we walked from school to the new hospital that was built on the Hottentot field on the west side of the settlement. Everyone was excited about the surprise waiting for us. 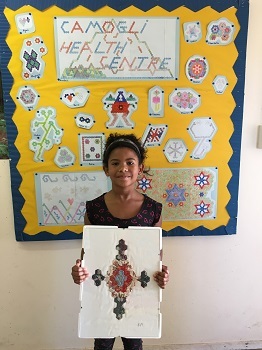 Kate Aimson, an artist, worked with the students for a few weeks during their arts and craft periods at school designing beautiful artwork that was going to be displayed in the reception of the new hospital. We all had to take our shoes off before entering the hospital and admired the fascinating artwork in the reception lobby. The artwork is made using a hexagon shaped pattern and the students came up with some brilliant designs. There was a stethoscope design, a British flag and even a design of a robot monster to name just a few. We had a short guided tour of the new facilities and Mark Aimson showed us around the hospital amazed by the spacious interior and state of the art facilities. What a wonderful modern hospital! Galliford Try has done an excellent job building an up to date high-tech facility for the island. St Mary's School presented Kate Aimson with some thank you cards and gifts. 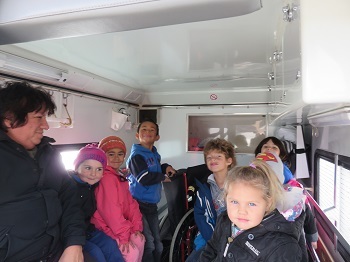 Clive Glass came to the hospital with the ambulance after our visit and all the playgroup students got in for a joy ride all the way back to school. 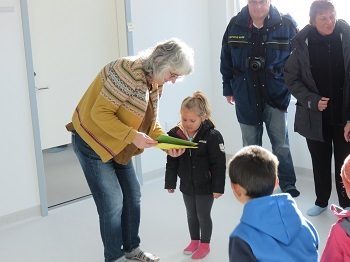 It was a lovely excursion and great experience to see the student's artwork displayed on the wall of our new hospital. Left: Deana Rogers holds a framed design given to the school by Kate Aimson. You can see more pictures of the artwork on the Camogli Healthcare Centre Construction page.